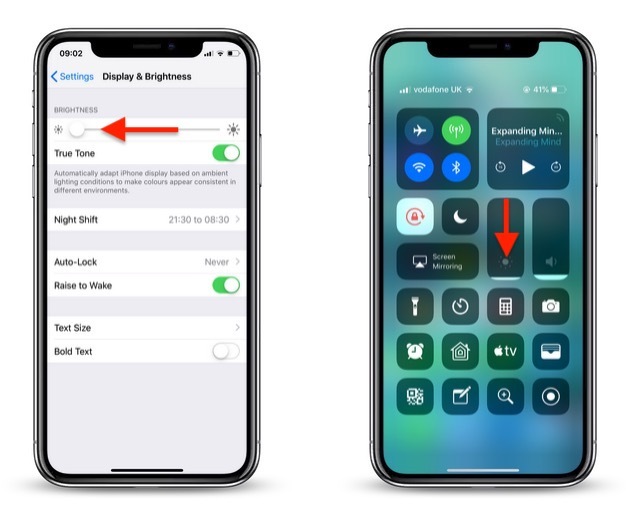 If the screen of your iPhone or iPad is too bright for comfort, the usual solution is to go to Settings -> Display & Brightness and drag the Brightness slider to the left, or open Control Center and adjust the corresponding setting from there. 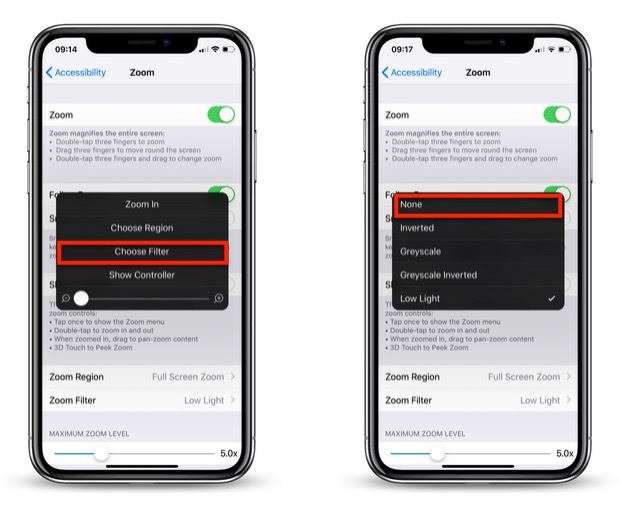 However, if the lowest setting offered by the Brightness level just isn't dim enough for you, there are a couple of ways to make your screen even darker. One method we've covered previously is to adjust white point using the Accessibility Shortcut. Another way is to enable a low light filter, which you can do by following the steps below. Select Full Screen Zoom and return to the main Zoom menu. Select Low Light and return to the main Zoom menu. Now, turn on Zoom by toggling the switch at the top of the Zoom menu. Double-tap the screen with three fingers to zoom out to fullscreen. Your device's display brightness should now be extra dim. 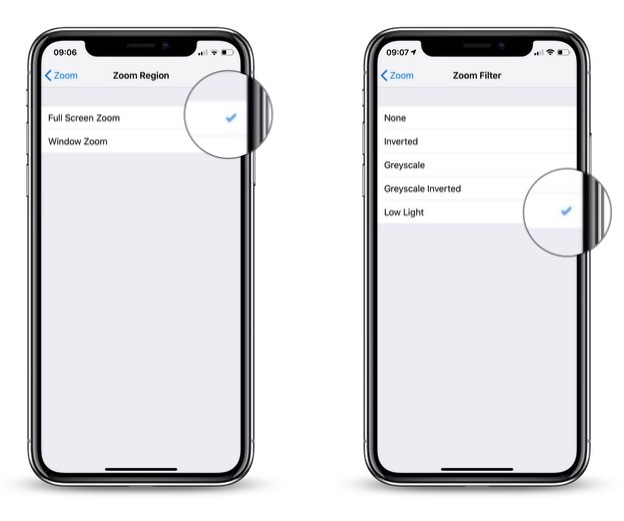 Note that you can disable the low light filter at any time: Simply triple-tap the screen with three fingers, tap Choose Filter from the overlay panel and then select None. Settings > General > Accessibility > Accessibility Shortcut > Reduce White Point. Much simpler than the procedure described in this article. Triple-click on home button (or side button) for reducing the brightness. Triple-clicking again to increase it again. WARNING : This triple clicking home button accessibility feature brings a noticeable lag into double clicking function. There’s an easier way to invoke this. 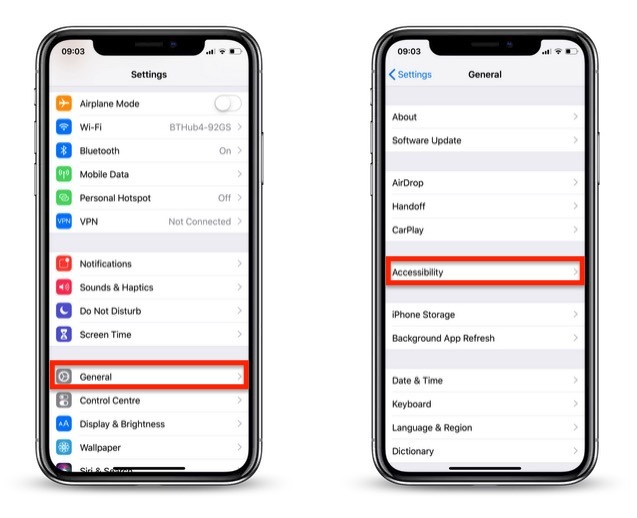 At the bottom of the accessibility page, there’s one called “Accessibility Shortcut”. Select Zoom (and I also have Reduce White Point, which in my opinion is more effective). Now when you triple tap your home button (or the sleep wake button if you don’t have one), your screen can instantly dim. It’s that easy. Lastly, I use Color Filters (Color Tint) found in Display Accomadations to make an extreme version of Night Shift, whereby my screen removes almost 99% of blue and green light, making my screen appear an ultra red. 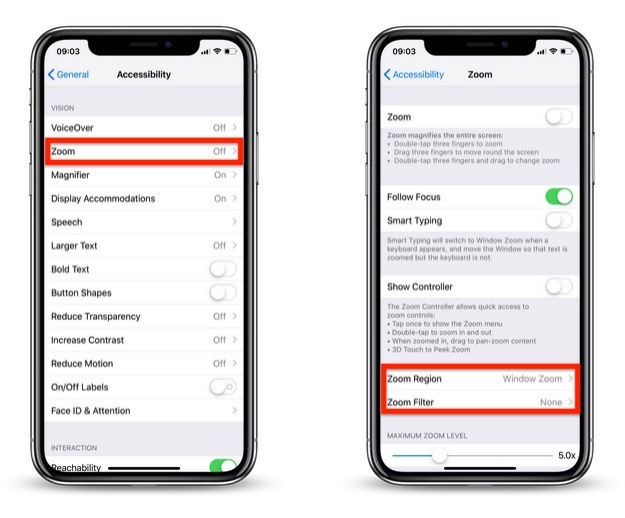 This in my opinion is more effective than lowering the brightness and Night Shift alone, because you can actually have your screen at a comfortable brightness to read black and white text, but still fall easily asleep. I’d love to help write and article or video on this process, because I use it every night and have no problems falling asleep while using my phone, and I think others can benefit from it too. Theres probably a thread already, but does anyone else’s iPhone X/XS/XS Max experience the display to dim to a max brightness of 50% when it is quite warm (or doing instense work loads). Also the CPU and graphics seem to be throttled as everything lags while the device is warm to touch. Any difference between this and Reduce White Point? Is it redundent to have both enabled? I was just about to reply to this. The method macrumours shown is far too long-winded. Yeah I was thinking the same when I read that post. Way too many steps. Pretty sure Reduce White Point doesn't dim it as much as the Zoom Low Light filter does. Exactly... sadly this zoom method has been doing the rounds in the last day or so and this is just 100% lazy copy and paste crap. This method (as well as the Reduce White Point one) have been around for quite a while (at least a number of years and iOS versions). Has anyone ever complained that their iPhone was too bright? Sure, in various dark environments, for one. Thanks for pointing this out, we've covered this before in another article so I've added a link to it in the OP.